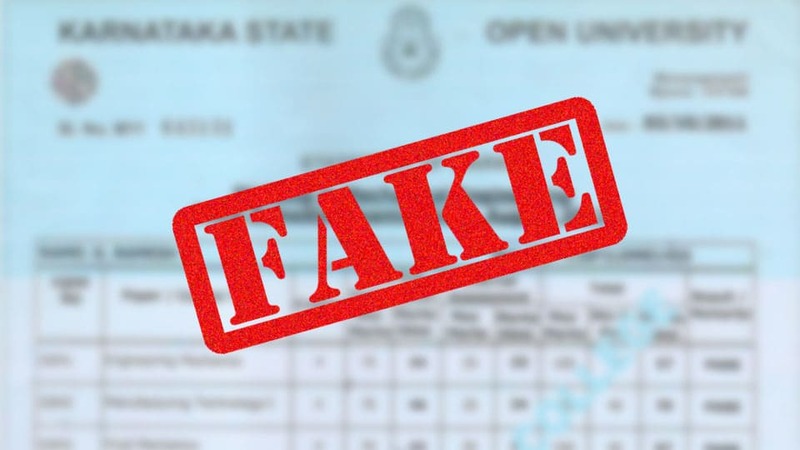 Mysuru: The fake marks card racket that is plaguing the Karnataka State Open University (KSOU) has once again surfaced after it was found that the KSOU marks card issued to a Kolkatan, was fake. Subehendu Dai of Kolkata had pursued B.Com from a Kolkata-based private institution said to be affiliated to Mysuru-based KSOU. He was issued the marks card by the institution. However, the incident came to light when Dai brought the marks card to KSOU for verification and found it to be fake. KSOU Assistant Registrar C.P. Shivakumar has filed a complaint in this regard at Jayalakshmipuram Police Station. Earlier too, when two persons from North Karnataka had applied for verification of marks card for their promotion, were found to be fake. KSOU officials have asked Police to take action against those who have issued fake marks cards of the Varsity.